Since Sunday afternoon 2:12 p.m. MST, Mercury is moving forward again. The 'messenger of the gods' offers a fresh approach of how to see things, of how to resolve pending problems. Mercury resonates with our thought process, it represents the grid we overlay reality with. Mercury is the innermost planet, which astrologers classify as 'personal' planet. The zodiacal sign it occupies, as well as the connections it makes with other planets reveal how we see the world and how we think about it. Mercury allows us to define the world around us, it gives us the security of a little box, a safe place within the dauntingly wide spectrum of this cosmos. Mercury is our mental measuring stick, the lens through which we perceive, label and discern, the manner in which we're attempting to understand the world. It allows us to reflect, enables us to indulge in opinions and concepts, to then trick us into believing that our thoughts are important, that they are who we are. As the French philosopher René Descartes (1596-1650) put it: "I think, therefore I am." We all know how our minds tend to get ahead of reality. At times we fall prey to wrong assumptions, ascribe to concepts which eventually prove nothing more than iridescent soap bubbles. Every four months when planet Mercury moves backwards we get the chance to reassess our direction, take inventory and purge what's gone out of synch with reality. This new Mercury cycle signals a time of departure and renewal, particularly so, as it's strategically placed at the end of an eclipse season (Lunar and Solar eclipse). Twice yearly, eclipses redefine the direction of evolution, slightly notching us to new directions. It just so happened, far reaching visions were conceived during the last few weeks, creative ideas flooding in. Now the assignment is on us to perfect these drafts and look for ways to make them real. There are numerous situations that are lopsided or in precarious states, needing our loving attention. The call is to take charge, step in firmly and do whatever's necessary to restore balance. It's important to meet challenges head-on. If we're firm, we are capable of breaking through obstructions. This is the time to be bold and act responsibly. It just so happens that starting November 9, China's capital Beijing is hosting the most important meeting in twenty years. President Xi Jinping will open a four-day gathering of 376 high ranking party delegates arriving from the far corners of the Empire, to set the course for China's future. This is only the third time in modern China's sixty-four years of history that a gathering of that magnitude is taking place. The first Plenum took place in 1978, two years after Mao's passing, which was a very turbulent time for China. Only one month after Mao's death the members of the radical Gang of Four, led by Mao's widow, were arrested; and in 1977 Deng Xiaoping—Mao's chief rival—was officially rehabilitated, taking on the lead at the 1978 Plenum. In the wake of this convention much of the ideological ballast was thrown overboard, which eventually would induce the unparalleled rise of modern China. 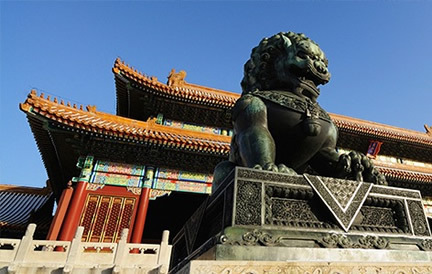 Not of less impact was the second Plenum of 1993, when many more limiting and rotting structures were taken down, paving the way for China to become an active partner in the WTO (World Trade Organization). An article in the Washington Post of Friday, November 8 reads: "What lies before China, is no less than “changing the fundamentals of how the Chinese economy operates.”The implications of the meeting — known as the Third Plenum of the 18th Central Committee — are huge, not just for China and the survival of its Communist Party, but also for the rest of the world." Modern China was founded on October 1, 1949, on a Blue Spectral Monkey day. November 10, the day Mercury turns direct, carries the same Mayan signature. This cosmic synchronicity is auspicious. The Spectral Monkey is one of the initial days in the Mayan Calendar, the eleventh day in the wave of the Dragon. Pioneering and creative, the Spectral Monkey is quite difficult to assess. Things are in constant turmoil, rearranging themselves in order to find balance within antagonisms. Monkey is interactive, spirited, spanning a spectrum from magic to illusion. The eleven is a 'master number'; and just mentioning, we're in the eleventh month of the year. It's the constant challenge of chaos and divergence which pushes one towards mastery. Eleven is a Solar number, triggering consciousness. Xi Jinping is China's latest president, and guess what, he also carries the frequency of the eleven. He was born on June 15, 1953, Blue Spectral Night, (11 Akbal). He came to power on March 14, 2013. There are some remarkable things about this man: in 1985, he was visiting Iowa as a member of a Chinese delegation studying North American agriculture. For two weeks he was hosted by an American family. During his official visit in 2012, about to become the next Chinese president, he made it a point to revisit this family. He is married to well know Chinese singer, who became famous long before Xi; and their daughter studies at Harvard University. Astrology shows President Xi Jinping as a wise and humble ruler (chart). He seems to be deeply attuned to the Chinese people and the world at large, a true philanthropist. His Gemini Sun aligns with asteroid Hygeia, signifying interest in health and well-being. With Jupiter and an additional three main asteroids in this mutual air sign, he likely is versatile, multi-faceted and a good communicator. The sound of his name is also revealing: Xi is pronounced 'she', implying gentleness and sympathy with his feminine side. Aside from a strong resonance with his people, Xi Jinping might be capable of promoting reforms, hopefully bringing solutions to the many pressing problems his country is facing. We may see his charismatic leadership resulting in a more sustainable course, protecting natural resources. China is about to shed its skin. However we shouldn't expect the release of big news by the end of this Plenum. China has always been quite secretive. It might take some time for detailed information being shared with the world at large, and we may hold our breath in anticipation of what's about to transpire. You might find this column to be very different from what you're used to. Writing about the different days of the week, I consult and combine different systems: The daily motion of Sun, Moon and planets including latest additions; the common Tropical zodiac with the I CHING overlay; the 260-day Mayan Dreamspell Calendar, as well as latest space news by NASA. Interested in your Mayan Birthday? This site provides a free calculation applet. And here you can find the explanations. This Pisces Moon is imaginative, gentle, and healing. As you would have guessed, Remembrance Day owns unique numerology. There may be many explanations for the 11:11 phenomenon. In my personal experience it's all about synchronicity. Whatever we may expect from the universe, we generate it by our imagining, envisioning and thinking - we constantly co-create reality. Dates and numbers are expressions of collective mental activity. Whenever eleven frequency is on, a breaker is rolling in from the ocean of time. The more we're in this moment, empty minded, rooted in our bodies and thus connected with the greater universe, we may intuit, feel and sense the catch of the moment. Cosmic reward and confirmation comes as reflex to look at our clock, odometer or whatever numerical rhythm we're surrounded by. Concluding the first of the twenty waves in the 260-day Mayan calendar, the Cosmic Skywalker makes for a great culmination. Mayans adhere the adjective 'cosmic' to number thirteen, its meaning is returning back to source. Flowers have long gone, the seedpods release their seeds; dissolving, in the knowing that death is followed by rebirth. It's a wondrous experience indeed to become a cosmic citizen. In the light of the infinite, the Self loses its glamorous importance. The Moon is void-of-course, favoring the right side of our brains, logic might get defeated. In rural regions of Guatemala where Mayan culture is still alive, Magnetic Wizard days are revered as sacred and dedicated to the Jaguar, the king of the jungle, whose spotted fur resembles the star cape. Individuals born on Wizard days are emissaries, mediating between visible and invisible realms of this world. What amazing and dynamic potential this day holds! I mentioned in this column, heliocentric Jupiter closes in on two major aspects today, squaring Uranus, and opposing Pluto. As if this wouldn't be enough, Neptune is turning direct today, initiating its 2014 advance into the unknown. A highly auspicious day, fired by a creatively busy Aries Moon! And the show goes on! What a week, indeed! Today, Venus closes in on the square to Uranus, while she will meet Pluto tomorrow. Short before 1 p.m. MST, the Aries Moon goes void-of-course. Emotions are intense; there's frenzy, passion, thrill, or even confusion. However, the Lunar Eagle has a vision and understands the paradox. We're in the Wizard's 13-day wave, leading us deep into the labyrinth. 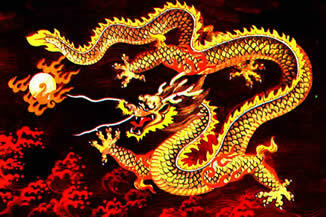 Saturn in the third line of hexagram #1 says: "The dragon is cautious and uses its power wisely." Early morning the Moon enters earthy Taurus. The Sun opposes Sedna, a large trans-neptunian planetoid orbiting the Sun once in 11,400 years. Sedna was discovered in 2003 and shortly thereafter named, honoring the Inuit goddess of the Sea. Sedna is radical and profound, archaic and timeless, deeply attuned to nature. Find a way to escape from your routine, go out and enjoy wordless abundance of wilderness, celebrate solitude. Today the Sun enters the last segment of Scorpio, coinciding with hexagram 14, "Possession in great measure". The coming five days will bring a deep and intense period to its worthy conclusion. Self-Existing Earth may present unexpected twists, redirecting our focus, demanding re-assessment of a situation. Make it a point to laugh for one minute, for no reason at all. Laughter breaks mental patterns, cracking our shell open for the unexpected to seep in. The Taurus Full Moon exacts at 8:16 a.m. MST. From then on 'til 5:07 p.m. MST, the Moon is void-of-course. Then the Queen of the night enters quick-witted and communicative Gemini. 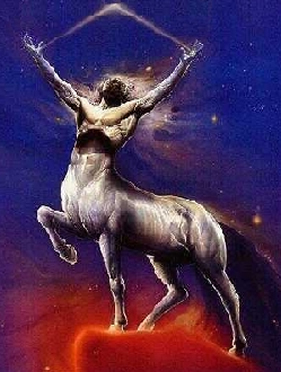 Centaur planet Nessus is at the T-square point between Sun and Moon. We should brace ourselves for rather nasty and difficult situations. The Overtone Mirror alerts that troublesome emotions are to be faced, pushing us to integrate our shadow. Be aware of exalted Full moon energy and keep inner composure. Whatever unfolds is an incentive to transform inner poison to nectar.